The hope is that at least some of the pilot studies will provide results that help in a shorter amount of time. A little more than two years after the announcement of a landmark partnership between the NFL and Harvard Medical School for a long-term study on the aftereffects of football on retired players, it is progressing better than many involved expected. Spurred by a number of factors: growing concerns over the long-term effects of concussions, the suicides of multiple retired players, growing national sentiment that football was too dangerous, a Harvard study showing the life expectancy for former professional players in the United States and Canada is 20 years less than the general male population, the NFL Players Association decided to take things into its own hands. The union dedicated $100 million over 10 years to fund what is now known as the Football Players Health Study at Harvard, though the project is much more than the extensive survey, which seeks to identify the myriad health problems former players face. The project got under way in February 2014, with the survey and three pilot studies launched immediately. Four studies have since been added, selected after the medical teams received dozens of proposals. To date, more than 2,100 former players have completed the health survey. While it’s great progress, it represents only about one-10th of the number who could participate. To Harvard researchers, there is value in getting any living player who took part in even a week’s worth of practices as a practice squad player to respond, not just players who were part of the NFL for years. While the survey is a long-term project, the hope is that at least some of the pilot studies will provide results and help in a shorter amount of time. ■ Bioenhanced ACL repair. Over the last four seasons, 230 NFL players have suffered torn ACLs, a common injury for athletes across many sports. 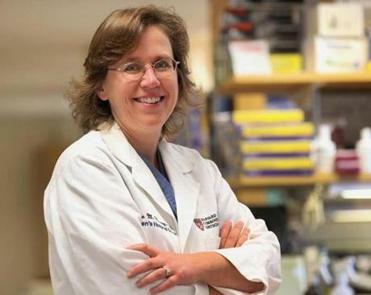 Dr. Martha Murray, also a Harvard Medical School assistant professor and orthopedic surgeon at Children’s, appears to have developed a way for the ACL to repair itself. Currently, reconstructive surgery on the ligament involves the use of cadaver or hamstring tissue or the patellar tendon of the patient to restabilize the knee. Recovery time is months, and 80 percent of ACL repair patients will develop osteoarthritis in the joint within 14 years. Murray’s method creates a scaffold of sorts around the torn ligament, allowing blood to flow between the torn ends, and the ACL essentially repairs itself. In animal studies, the animals had less muscle loss, with no occurrence of osteoarthritis. The first human clinical studies have recently started. ■ Light-emitting diodes for treating concussions. Studies show that there is less blood flow to the brain for days or even weeks after a concussion, and less blood flow slows healing. This study, in which Meehan is involved, works with the hypothesis that the brain needs more adenosine triphosphate, or ATP, the energy-carrying molecule found in cells, to heal, and that brain cells with more ATP will recover more quickly. By shining red/near-infrared light on brain cells, there is an increase in metabolic activity. Participants in preliminary trials are reporting improved sleep and fewer post-traumatic stress disorder symptoms. ■ Myocardial dysfunction. This study, led by Dr. Aaron Baggish, a Harvard Medical School assistant professor of medicine based out of Massachusetts General Hospital, seeks to find the effects of strength training on the heart. “People who are long-distance runners, cyclists, have ‘big hearts’ in a way that’s beneficial,” Meehan said. “But maybe lifting weights makes [the heart] bigger in a way that’s not beneficial.” Testing has found that strength training can make heart walls stiff and inflexible, and makes it difficult for the organ to rest properly. As Baggish’s work proceeds, it will look for ways to intervene and prevent that stiffness. ■ Osteoarthritis hydrogel. Currently, options for treating osteoarthritis are limited to physical therapy, oral pain medications, or steroid injections, which patients can receive only every few months, and often, total joint replacement. A team of Harvard Medical School assistant professors based out of Brigham and Women’s Hospital is developing an injectable hydrogel that kicks into action and provides pain relief when an individual’s joint is inflamed. The rest of the time, it essentially waits. 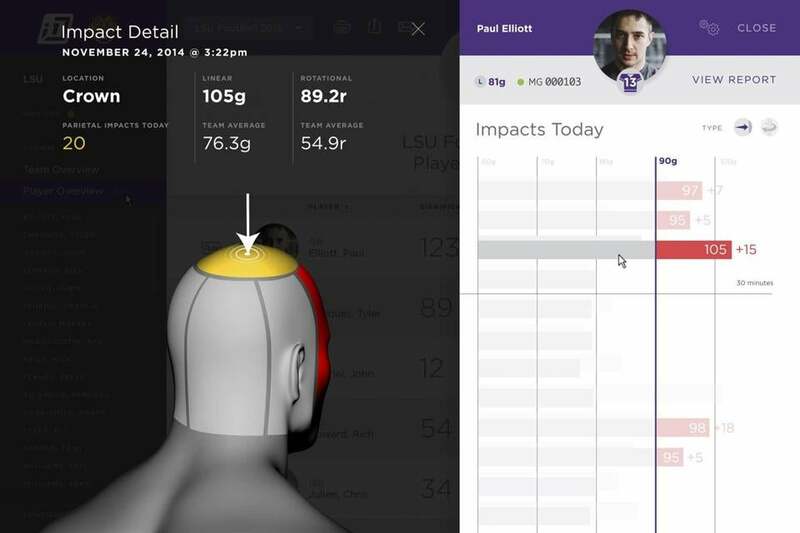 Concussion data from mouthguards worn by football players, collected by i1 Biometrics, is shown. ■ Detecting brain movement in the skull. 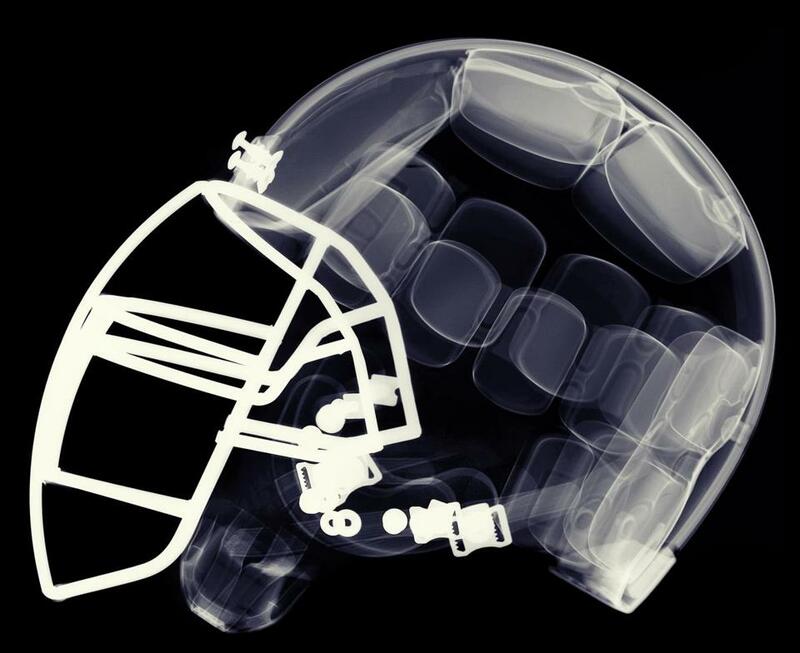 There are mouthguards and helmets designed to detect concussive hits, but those only measure the impact on the implements, not the actual brain. Led by Dr. Gary Strangman, a Harvard Medical School associate professor of psychology based at Mass General, the goal is to develop an on-the-field, non-invasive device that can monitor the movement of the brain while players are in motion. ■ Tau protein antibody. Recent medical research shows that tau proteins in the brain contribute to the development of Alzheimer’s. Dr. Ping Lu, a Harvard Medical School professor of medicine based at Beth Israel Deaconess Medical Center, and his team have developed an antibody that in animal studies blocks the spread of tau but prevents brain cells from dying. ■ Injury-preventing knee brace. The brace Conor Walsh, a Harvard professor of mechanical and biomedical engineering, is trying to develop, would prevent ACL tears. The brace would be soft, not limiting the range of motion of the wearer — that is, unless the tibia (shin bone) starts to move in front of the femur (thigh bone). If that happens, the brace would lock into place, preventing the tibia from moving too far forward, which leads to a torn ACL. Massachusetts native Zak DeOssie, heading into his ninth season with the Giants and a member of the NFLPA executive committee, believes current players are far more invested in their long-term health, and he is excited by the prospects of the studies. Health and safety is paramount, DeOssie said, as is making sure there are future generations of players who learn the great lessons of football. 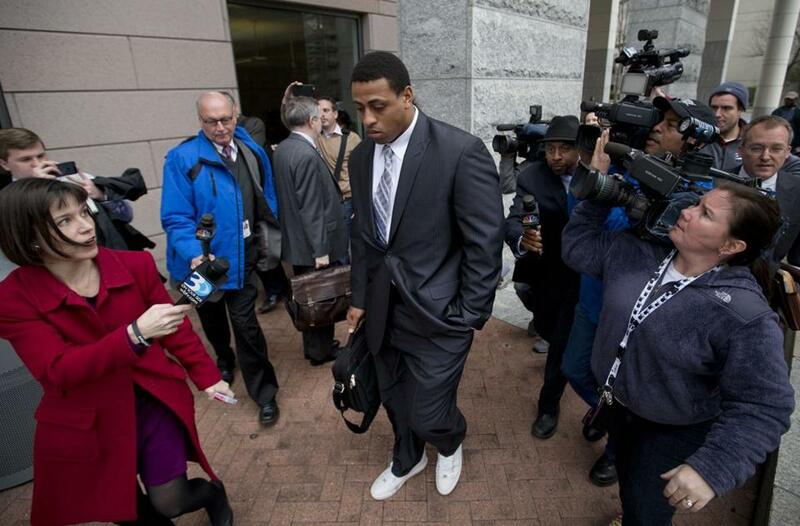 Greg Hardy’s suspension was reduced to four games. Not surprisingly, last week came and went without an announcement of a decision on Tom Brady’s appeal of his four-game Deflategate suspension, but on Friday afternoon the league did announce a decision on the appeal for Cowboys defensive end Greg Hardy. Hardy had his 10-game suspension reduced to four games by arbitrator Harold Henderson, a former NFL labor executive. In May 2014 while with the Panthers, Hardy’s girlfriend accused him of assault. The woman said that in an attack at his apartment, Hardy pulled her on the floor by her hair, choked her with both hands, and picked her up over his head, throwing her onto a couch that had guns on it. He also threatened to kill her. As Hardy’s case went through the North Carolina legal process, he played Week 1 for Carolina. But then the team decided to deactivate him for Week 2, and ultimately placed him on the commissioner’s exempt list. Hardy was paid his full salary for the remainder of the season but was not allowed to practice or play. Though the case against Hardy was dismissed on appeal (he had been found guilty by a judge in a non-jury trial) when the victim did not make herself available to prosecutors, the NFL’s investigation found enough evidence to determine that Hardy deserved punishment under the personal conduct policy. Commissioner Roger Goodell gave Hardy a 10-game suspension, which Henderson significantly reduced. The announcement immediately brought up questions regarding Brady’s case. As it stands, in the eyes of the league doing the heinous things Hardy was accused of is on the same level as what the league believes Brady likely knew about what happened with footballs before the AFC Championship game. Even before the Hardy decision, there was no question Brady’s suspension should be reduced, but keep in mind there’s an X factor: Goodell refused to recuse himself as arbitrator in Brady’s case, so he is deciding against his/Troy Vincent’s decision. There is no Harold Henderson or Judge Barbara Jones (who decided on Ray Rice’s appeal) to apply logic in this situation. Goodell could dig in his heels after taking some high-profile losses and decide to uphold Brady’s four-game penalty, though in that case Brady might take the league to court. Or, being as public relations-conscious as Goodell seems to be, he could realize that it looks ridiculous to have a player who might have known about an infraction that might have happened serve the same suspension as a player who, evidence shows, assaulted a woman, and reduce Brady’s suspension to two games or even one. Incidentally, if Hardy does not take his case to court — there were reports that if his suspension was not reduced to two games he would take that action — his first game would be against the Patriots Oct. 11. Through its punishment of the Patriots and Tom Brady, the NFL wants you to believe that it takes the PSI level of footballs very seriously. But if the league is truly serious about it, why not do a little research? So here’s an idea: Do that, for every ball, at every game this season. Take the notion of whether or not Jim McNally surreptitiously did something with the footballs off the table for a moment, because if he did, the Patriots deserve punishment. But instead of theories on Ideal Gas Law and weather and Ted Wells taking referee Walt Anderson’s word on some things (his recollection of the approximate PSI levels of the Patriots’ and Colts’ footballs before the AFC title game) but not others (Anderson said his “best recollection” was that he used the gauge with a Wilson logo to measure the balls pregame but Wells dismissed that), why not get an idea of just how much footballs fluctuate during games? It’s expected the league will have some new rules this season when it comes to the handling of footballs (here’s hoping that a more stringent accounting of each ball’s measurement and having the balls stay with officials the entire time and not handed off to a game-day attendant are at the top of the list) because of Deflategate. And for this year at least, some data should be gathered. Let’s use the Patriots-Steelers Week 1 game as an example. 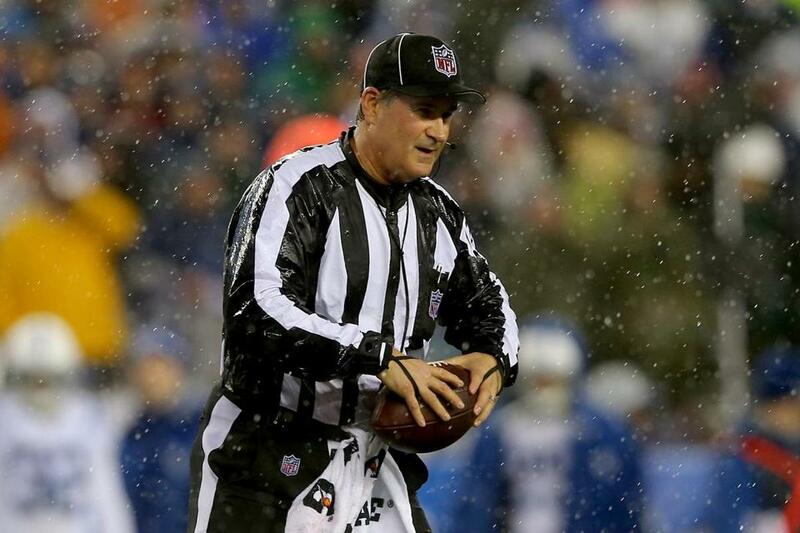 In a best-case scenario, Official A would be assigned to measure the Patriots’ 12 footballs pregame, and then again at halftime, using the same gauge, and Official B would measure the Steelers’ footballs pregame and at halftime. The numbers be written down each time — this would necessitate that each ball have a serial number. Weather conditions would also be recorded. With each team getting 12 footballs per game and 256 regular-season games, that’s 6,144 measurements — and should give a good idea of just how much footballs can fluctuate during a game given different conditions. And if the Patriots’ footballs from the AFC title game fall outside of what the data shows to be the norm, then take their first-round pick away next April. Will it happen? Highly unlikely. But if the NFL is all about integrity, as Roger Goodell and Troy Vincent remind us as often as possible, it’s an experiment worth conducting. The NFL began playing games in London in 2007. 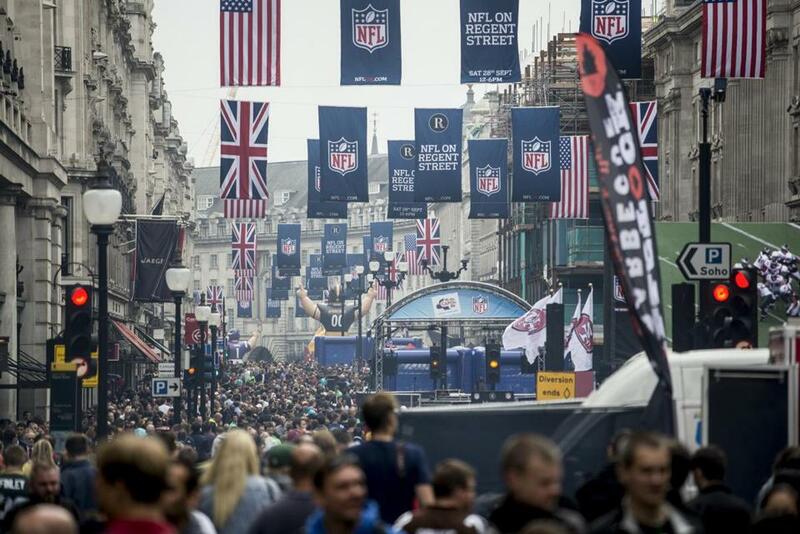 The NFL’s love affair with London isn’t ending any time soon, not that we expected it would. This past week, the league announced a 10-year partnership with soccer club Tottenham Hotspur. Tottenham is beginning construction on a 61,000-seat stadium that’s set to open in 2018, and the agreement calls for two NFL games per year to be played there. The facility will have a retractable grass surface, which Tottenham will use. When hidden under the stands, it will reveal an artificial surface for American football games. There will also be a set of larger locker rooms, as NFL rosters are significantly bigger than those for soccer. The deal is not exclusive, meaning the NFL can play games at other facilities in the United Kingdom. But the league has long held the idea of having a permanent team in London, and having a stadium built with the NFL in mind could be another step in that direction. The NFL began playing games in London in 2007, and thus far all but one of the 11 games played there have sold out Wembley Stadium, which has a capacity of 86,000. While American football is growing in popularity in the UK, a BBC story on the NFL-Tottenham partnership cited research that shows 2.8 million people in the country say they are “very interested” in the NFL — that’s less than 5 percent of the population. The number of adults who say they play American football at least once a month is at 40,000, a number that has doubled over the last four years. The Manning Passing Academy is celebrating its 20th anniversary and has become a proving ground for the country’s best quarterbacks. Dartmouth College coach Buddy Teevens, a Pembroke native and Silver Lake High graduate, is one of five men to be part of every camp, joining Peyton, Eli, and Cooper Manning, and Jeff Hawkins, now at Oregon but once Teevens’s recruiting coordinator at Tulane . . . The Bill Belichick Foundation has put out a last call for scholarship and grant applications for this year. There are 10 $2,500 scholarships available, open to high school seniors and college students, and 10 $5,000 grants for deserving athletic programs. The deadline to apply is Aug. 1. For information, visit billbelichickfoundation.org. Shalise Manza Young can be reached at syoung@globe.com. Follow her on Twitter @shalisemyoung. Material from interviews, wire services, other beat writers, and league and team sources was used in this report. Correction: The gender of Dr. Ping Lu was incorrect in earlier versions of this story.